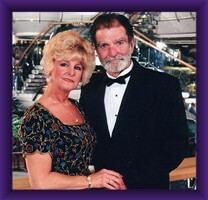 We are Phylis and Ken Schwab and we have been active in the breed for more than 17 years. Ken is a show photographer as well as Vice President of the Three Rivers Kennel Club. I am the breeder/owner/handler in the family. We have, to date, 50 homebred Champions to our credit. We are the founders of the Gateway Toy Dog Fanciers Club in St. Louis and are also members of the Chicagoland Shih Tzu Club. I have Co-Chaired the National Specialty for the ASTC in 2000 and Chaired the 2002 show. This year I will be Show Chair for the Gateway Toy Dog Fanciers Club on February 28. We are firm believers in being active in any club that we belong to. Members make that club what it is.